Nearly forty percent of India’s land area is under drought according to the Drought Early Warning System (DEWS) recent announcement, worsening farm distress this year. 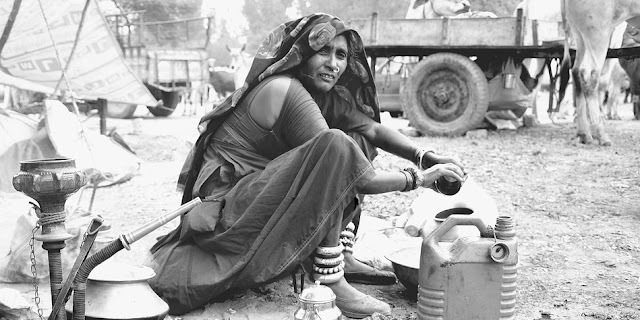 In addition, the drought affects the water supply in the urban and rural habitations and the poor people are most affected by it. While drought is looming in most parts of the country, some parts of the country also have a hard time addressing the floods. The water bodies like the lakes and ponds have reduced in number and then in size drastically. The rivers are made to remain either dry or flooded. Most water bodies have become recipients of the wastewater from the habitation that are mostly untreated or poorly treated in the absence/dysfunction of treatment plants thereby making the water bodies heavily polluted. Further, the excessive groundwater extraction may lead us too to a severe crisis of groundwater soon. To add to the above problems, the negative impact of climate change is also now becoming more obvious and increasing. Without effective and efficient water conservation and management plans, development and growth will be negatively impacted therefore challenging the long-term sustainable development goals. Effective and efficient conservation and management of water in the rural and urban areas is the only way out to reduce the water distress and reach the desired development and growth. This is possible only with the political will and further with the citizen participation in the water governance process of which the election campaign and voting are a crucial part. Water is part of a fundamental right (to life) of the citizens and duty of the government towards its rightful provision. There is no doubt that the socio-economic conditions of the rural and urban people are deplorable given the water ecology under distress. It is urgent that citizens negotiate this matter with the leaders across all parties. Without any political color tagged, asking relevant questions pertaining to Water Matters is the democratic empowerment of the citizens. The Water Matters must be the utmost agenda and expectation from the political leaders/parties. In contrast, there are so many talking in the campaigns, speeches, and agendas by all the political leaders/parties which misses the water and other environmental matters. What we seek from the leaders across all parties is their broad vision and plans for making Water accessible to all by all the fair means across regions and time. It is plain-simple- at the least, we the people must ask questions and the leaders/parties must respond on the Water (and environment) Matters. By asking rightful and right-based questions, we can direct the political discourse towards aiming for a water resilient society. This article is republished from COUNTERVIEW under a Creative Commons Attribution-NonCommercial 4.0 International License. Read the original article. *Jatin Sheth, Nagrik Sashaktikaran Manch, Ahmedabad; Mahesh Pandya, Paryavaran Mitra, Ahmedabad; Bhavna Ramrakhiani, Social Activist, Convenor, Ahmedabad Community Foundation; Tercia Arambam, MBEM, B Arch, concerned citizen; Alka Palrecha, People in Centre, Ahmedabad; Lokendra Balasaria. Architect and Urban Planner, academician and a design consultant, Treewalks Initiative, Ahmedabad; Darshan Desai, independent journalist and consulting editor for Gujarat for IANS and Outlook magazine; Gopalkrishna Bhat, hydrogeologist, TARU Ltd., Ahmedabad; Ketki Tidke, landscape architect, Nagpur; Neeraj Agarwal, architect, Jabalpur; Shubhranshu Upadhyay B Arch M Plan (MURP), Bhopal; Neerja Dave, concerned citizen, urban design student, Georgia Tech, USA; Anubandh Hambarde, urban designer, Amaravathi; Anil Kumar Roy, professor, CEPT University, Ahmedabad; Saswat Bandopadhyay, professor, CEPT University, Ahmedabad; Hema Banjara, teacher, Ahmedabad; Zalak Patel, architect, Ahmedabad; Sobhi Mohanty, PhD scholar, Geneva. 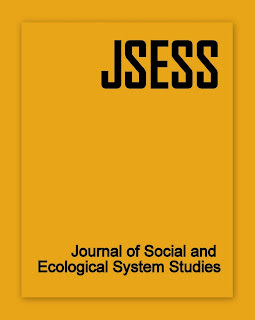 SPECIAL ANNOUNCEMENT: Dr. Mansee Bal Bhargava and IndraStra Global jointly launching a new scholarly open access e-journal — Journal of Social and Ecological System Studies, hosted on IndraStra Open Journal Systems (IndraStra OJS). Journal of Social and Ecological System Studies will be an open-access e-journal focusing on comprehensive "Social-Ecological Systems (SES) framework" which covers the following - environmental ethics, political ecology, environmental history, and ecological economics. Overall, the framework focuses on knowledge and understanding of ecosystem dynamics, how to navigate it through management practices, institutions, and social networks and how they relate to drivers of change. Call for submissions would be announced shortly. For more details, contact us at ojs@indrastra.com.